About us - GreenBuzz Berlin e.V. GreenBuzz Berlin e.V. is an association that supports sustainability on regional and international level through research, education and networking. We build an active community to make the city more sustainable. As such, GreenBuzz is a sector-overarching network, connecting people who work in sustainability and/or have a great passion for sustainable thinking. GreenBuzz Berlin was founded in 2014. A first series of events, the Sustainability Drinks, brought together well over 2000 people in the first three years. We are hosting monthly get-togethers, open for everybody interested in sustainability. We organise high-quality talks in a cozy atmosphere at every event. Another cornerstone of the association is that it is set up according to a transferable blueprint concept. The idea is to create GreenBuzz chapters, which are easy to be replicated in other cities around the world in order to foster change towards sustainability. The global network was formed in Zurich in 2010, other chapters have meanwhile been started in Bern, Amsterdam, Edinburgh and Bangalore. GreenBuzz Berlin envisions a sustainable world where everybody thrives and contributes to a continuous and sustainable improvement of the status quo. We believe that humans need to secure a planet that is worth living on – for all future generations to come. We imagine a world where every individual has the knowledge and competences to take responsible, educated decisions. In our connected world your decisions matter. 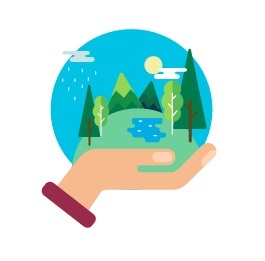 Our mission is to facilitate people to connect and share knowledge on topics around sustainability, in order to support responsible decisions and actions. We want to develop and present new approaches that support sustainable societies and businesses to grow. We encourage collaboration and self-organization. GreenBuzz is continuously searching for new information to feed an educated decision making process. Organize events that are open for everyone who wants to learn and network, with the help of an actively driving member base. Conduct and publish research about sustainability to disseminate the gained knowledge and promote sustainability. Partner with individuals and organizations to stimulate the implementation of initiatives that make Berlin a more sustainable city. Through these means, we believe that we can sustain long lasting relationships between the team, our partners and the rest of the community. You can find our statutes (in German) here. We have identified 10 key areas in which we find it important to conduct research and learn more. We study these areas and organize events related to these topics to disseminate information and to stimulate knowledge sharing. GreenBuzz Berlin established the 10 topics of Architecture & Furniture, Circular Economy, CSR, Energy, Environmental & Biodiversity, Food & Drinks, Fashion, Social Sustainability, Travel & Tourism, and Waste as key areas. Topic teams conduct research on those topics and organize related events to disseminate information. GreenBuzz connects actors from various areas of society to inform and facilitate synergies. Therefore GreenBuzz Berlin organizes regular talks and events to bring together the sustainable community in Berlin and promote an active sustainability movement in Berlin. More information will be available soon. GreenBuzz identified networking and collaboration as critical success factors for sustainable initiatives. Thus, a first event series – Sustainability Drinks – has been started in January 2014 and brought together well over 1500 people in a comfortable and stimulating atmosphere in the first two years. Participants are networking for Berlin’s sustainable future and listen to inspiring presentations. Since the end of 2014 GreenBuzz Berlin is partnering with GreenBuzz Global to reach out to the global community. As a global organisation, GreenBuzz Global brings similar events to various countries and cities world wide, building a global network of sustainability professionals. Thereby, GreenBuzz Berlin and GreenBuzz Global are driven by enthusiastic and credible teams of volunteers. The teams work in close collaboration with other local networks and organisations. We are always eager to meet more people who are passionate about sustainability and interested in developing the GreenBuzz association and building a sustainable community in Berlin with us. Click here to meet the team. Click here to read in which other ways you could get involved, and how to get in contact.